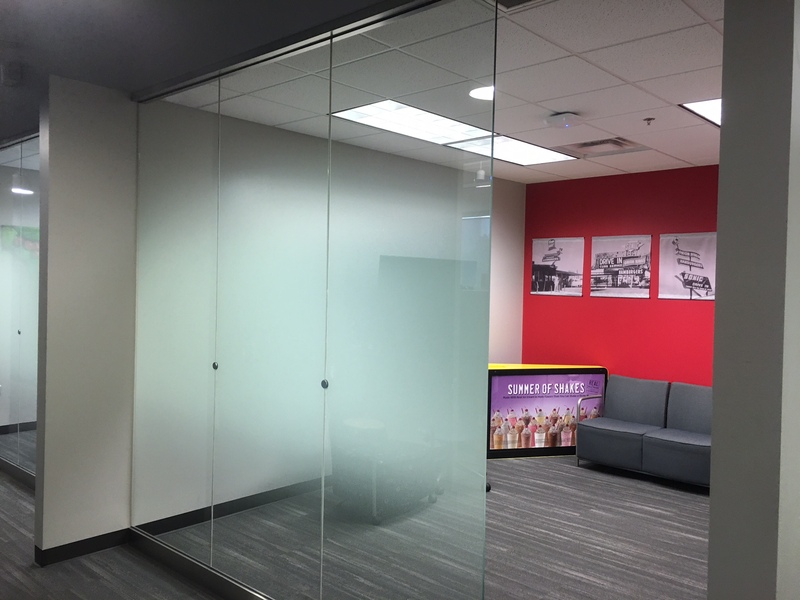 Adams Window Tinting was recently asked to help Sonic Corporation with a custom decorative glass film for their corporate offices in Oklahoma City. The offices had floor to ceiling glass walls that created a very open feel, but had the downside of a lack of privacy while the offices were in use. Sonic did not want to give up the open feel and drama of the large glass panes, but they needed to create visual barrier between the offices and the common area. 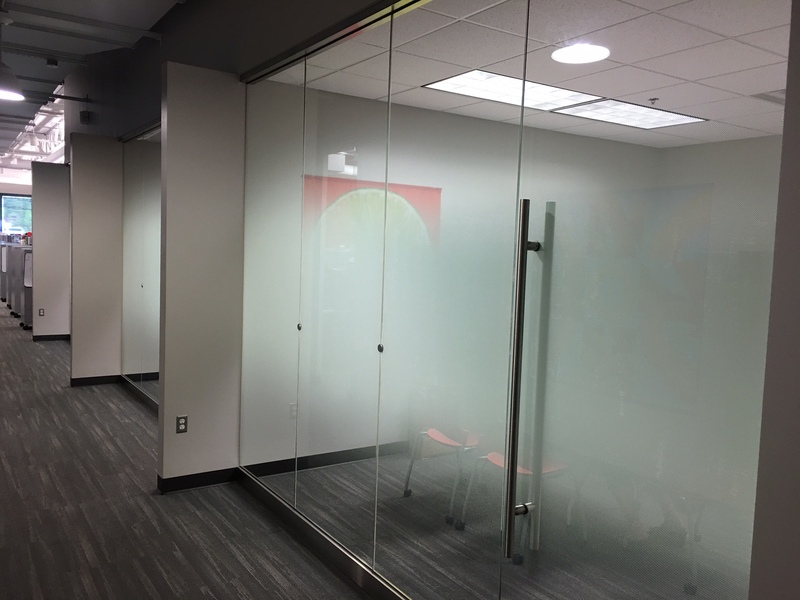 The solution was found with a custom decorative glass film featuring a fade effect. In the picture to the right, you can see the difference. There is film installed on the nearest office, but not yet installed on the office to the left. This custom white frost fade film was just what they needed and the results were terrific. 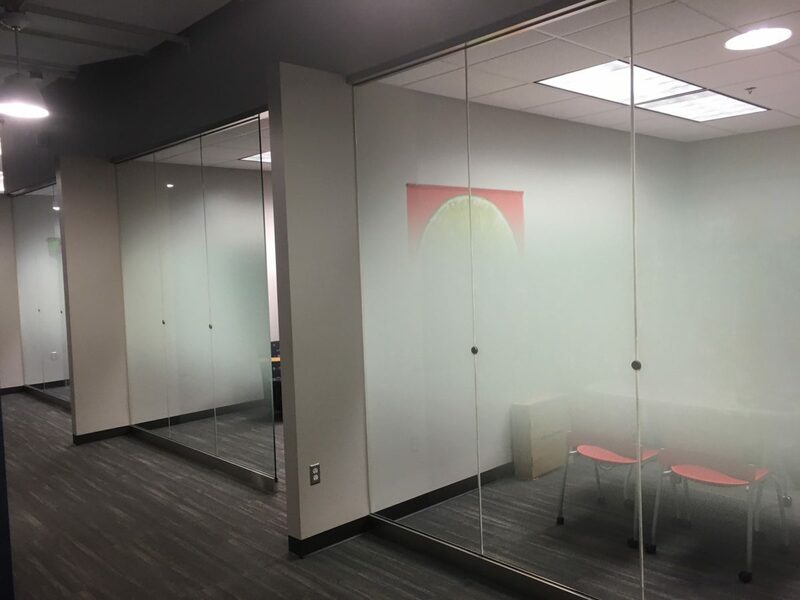 Not only did they achieve the privacy results they were looking for, the glass panels now had a decorative element to them that made the space look even more high end. Take a look at the pictures below to see how this film looks from several angles.